Cheeky APC Chairman John Oyegun Alleges PDP Appointee Are Sabotaging Buhari's Government! 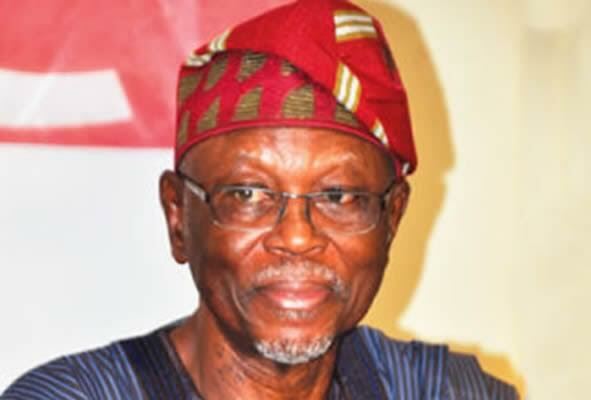 John Odigie-Oyegun APC national chairman yesterday tried to justify the recent sack of 26 Director Generals of government parastatals by President Buhari by alleging that there are internal sabotage in the government agencies mainly filled by PDP appointees. Mr Oyegun said this while speaking with State House correspondents after leading the party leadership to meet President Buhari at the State House, Abuja yesterday February 16th.